Public Health England hosts the UK National Screening Committee (UK NSC) which makes recommendations on all aspects of population screening. We have just published the latest annual report of the UK NSC’s recommendations on whether to screen for conditions based on reviews of the best quality evidence. 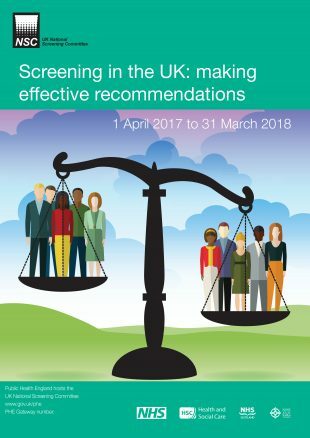 Screening in the UK: making effective recommendations 2017 to 2018 summarises the recommendations it made on 16 conditions between 1 April 2017 and 31 March 2018. These include our recommendation that screening for severe combined immunodeficiency (SCID) as part of the newborn blood spot programme should be evaluated in the NHS because evidence shows it is likely to increase the number of affected babies who would survive before and after a bone marrow transplant. We also carried out a high level review of the evidence for infectious diseases in pregnancy screening and recommended that population screening for HIV, hepatitis B and syphilis should continue. 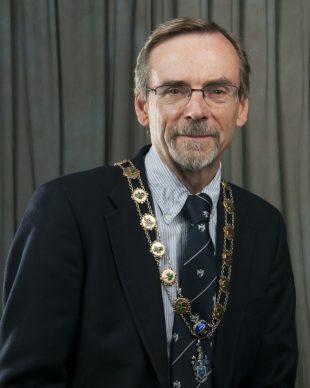 In his foreword to the report, UK NSC Chair Professor Bob Steele emphasises that evidence is at the heart of all the work the committee does. He also explains how we have been strengthening our approach to ethical issues through the formation of an ethics task group. During the year we consulted on guidance covering the development, production and review of information to support all screening programmes in the UK. The aim is to ensure all 4 UK nations share the same rigorous and transparent approach to developing and maintaining high quality information for the public and professionals. Central to this guidance is the principle of personal informed choice: making sure people have the information they need to weigh up their options and make fully informed decisions. That information needs to be understandable and meaningful. The report puts all the work we do into context and I thoroughly recommend giving it a read. Thank you to Bob, the UK NSC secretariat, stakeholders and academics for all their hard work and support.